This video came out last year, so I’m a bit late in sharing this. But it illustrates how social networks affect our interactions and expectations of others—and why they might make us lonelier. Granted, there are a lot of generalizations made, but it’s worth watching. We’re expecting more from technology, and less from each other. After watching this, it struck me that it sounded familiar. Then I re-read the messages our Holy Fathers have been sharing about technology for years. I just thought it was particularly interesting—society can try to perpetuate the stereotype that the Church is “out of touch,” but when it comes to the psychology of the Internet, the Church is, once again, dead on. ← What does “Facebook Zero” Mean for Churches? Clare, perhaps this is one perspective that has another more positive side. I’ve heard many stories from others over the years of how various social media tools like Facebook, Twitter, LinkedIn, and more have “enhanced” the face-to-face relationships with others. 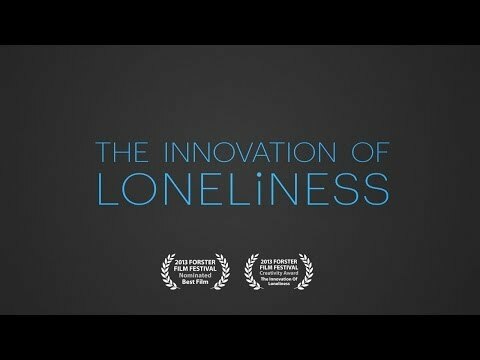 Therefore, community becomes an option while using technology instead of loneliness. Absolutely! Pope Francis even acknowledged the Internet was a “gift from God.” But I think the video speaks to the idea that social networks can easily become “noise,” and from a Catholic perspective I think it’s important to simply be aware of how distracting networks can become. I don’t mean this to be about church Facebook pages, but personal networks where, for instance, I can connect with my friends, family, co-workers, neighbors, the coffee shop down the street, or my favorite brand of shoes.